Pancakes. Is there any better breakfast? When I was a kid, pancakes were reserved for Saturday mornings. Saturday was the only day of the week when the entire family could eat breakfast together. We could take our time. No one had to hurry out to catch the school bus or out to the barn to milk the cows. Mom would get out her red checkered Betty Crocker cookbook. Inside was a sheet of paper with the double and triple measurements for the favorite pancake recipe, which was necessary with a family our size. These pancakes were different from the typical buttermilk/Bisquick pancakes in that they called for cornmeal. It gave them an amazing texture and aroma while sizzling in the cast iron skillets in generous pads of melted butter. While living in Northern Ireland, making pancakes (among other things) from scratch with my German friend made it feel more like home. My love of pancakes became so well known that a couple of my housemates got up really early on my last morning in Northern Ireland (after a late-night going away party) and make me a huge pancake breakfast. And unlike my stubborn attachment to my one and only chili soup recipe , I’m open to trying lots of pancakes. 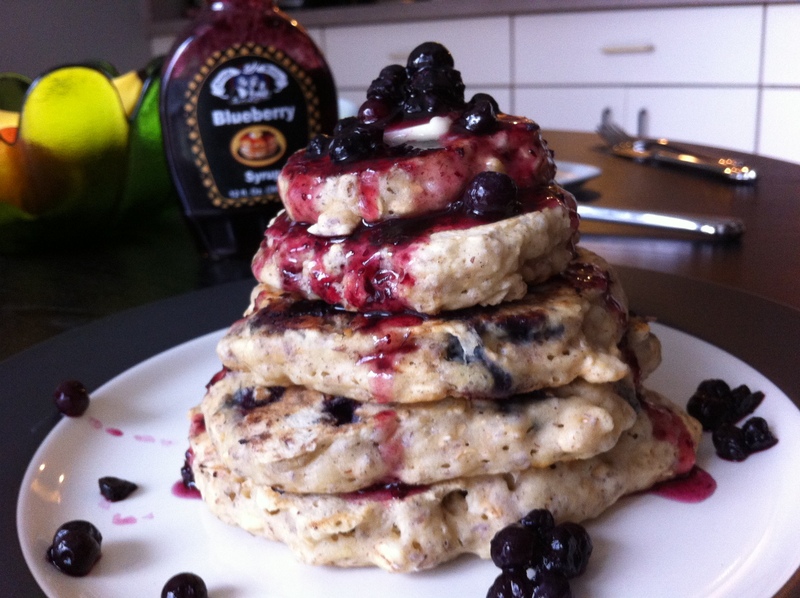 Hence previous posts about Hearty Pumpkin Spiced Pancakes and Blueberry Walnut Pancakes for One. 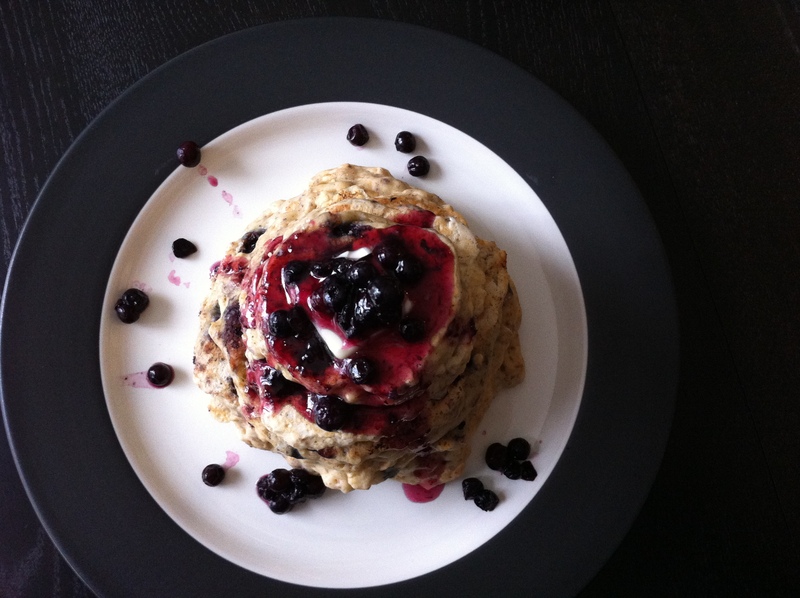 Inspired by Movita Beaucoup’s Blueberry Oat Pancakes. Important adjustment: per a lesson learned from my brother-in-law, (who I believed learned this from Alton Brown) I will always substitute whatever fat or oil a pancake recipe calls for with melted butter. You just can’t beat it. I also needed a little more almond milk than Movita used in her recipe. 1. 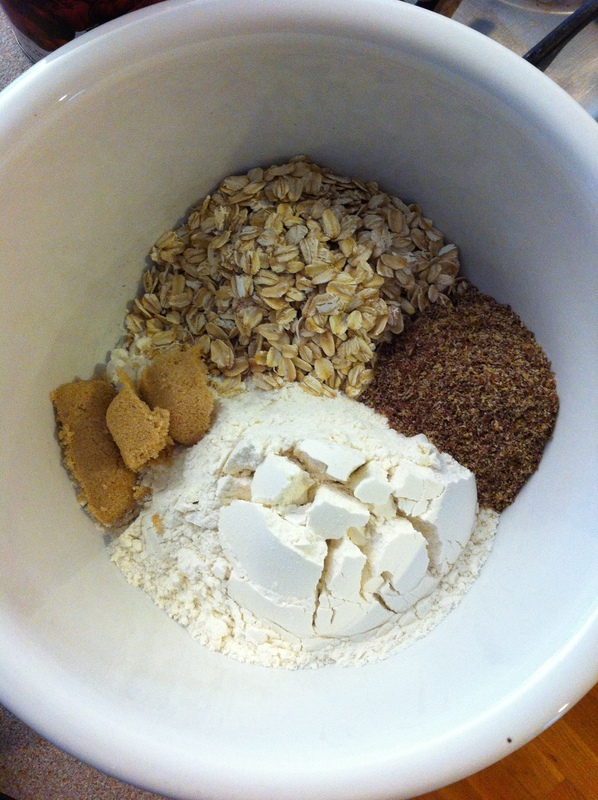 In a large bowl, mix together the flour, oats, brown sugar, ground flax, baking powder, cardamon, cinnamon, and salt. 2. Melt the butter (I used the microwave) in a small bowl. 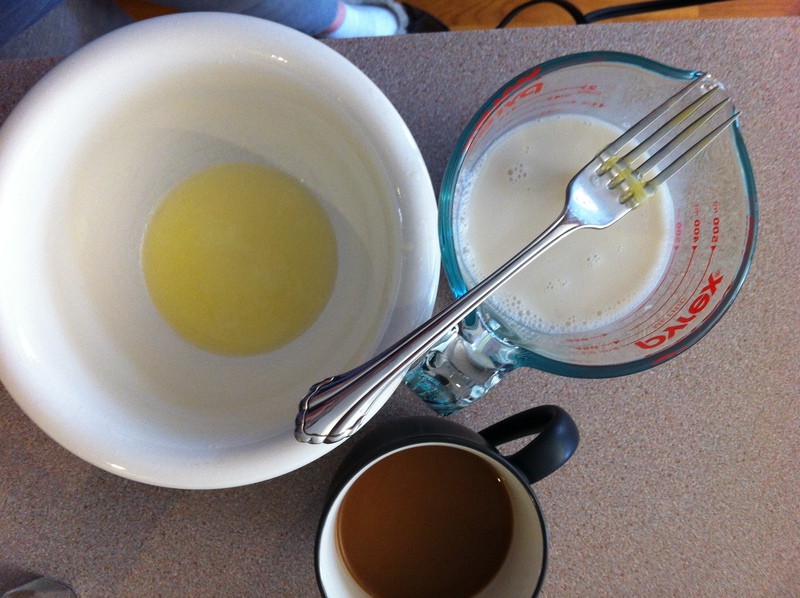 Add the milk and egg to the butter and whisk immediately to be sure the butter stays liquid. 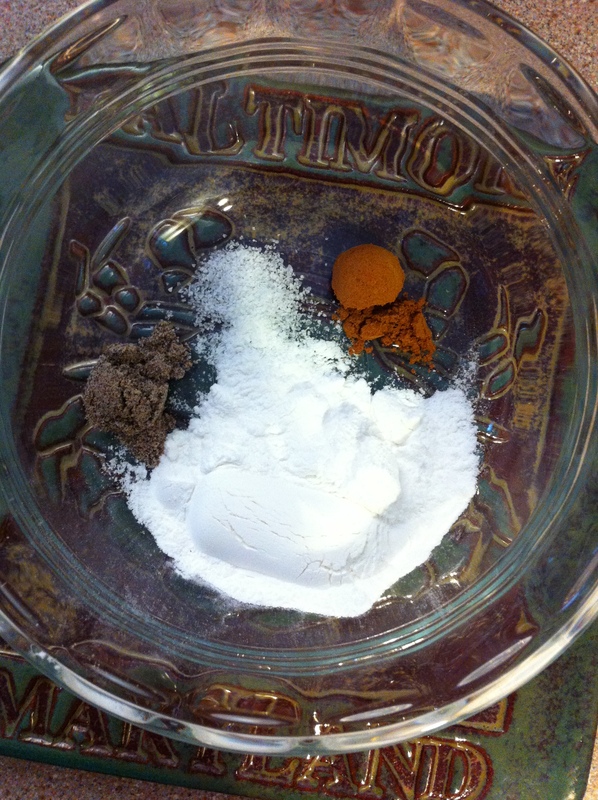 Dump the liquids into the dry ingredients and mix until just combined. 3. Heat your griddle or skillet to medium heat and brush with oil or butter. 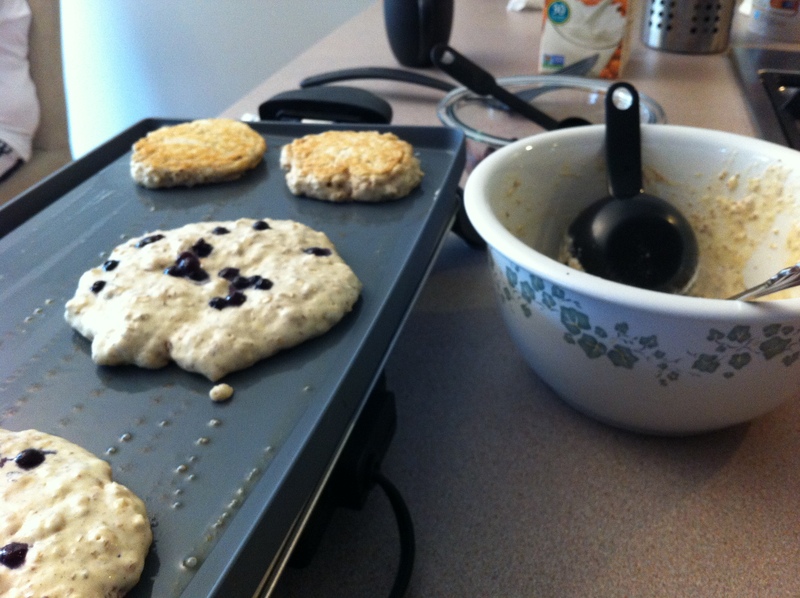 Once hot, scoop about 1/3 cup of the batter onto the griddle and sprinkle blueberries on top. Flip when bubbles start to form on the top of the pancake. 4. Eat immediately or keep them hot in the oven until all of the cakes are ready. I like to serve with butter, blueberry syrup, and/or maple syrup. Looks way yummy. 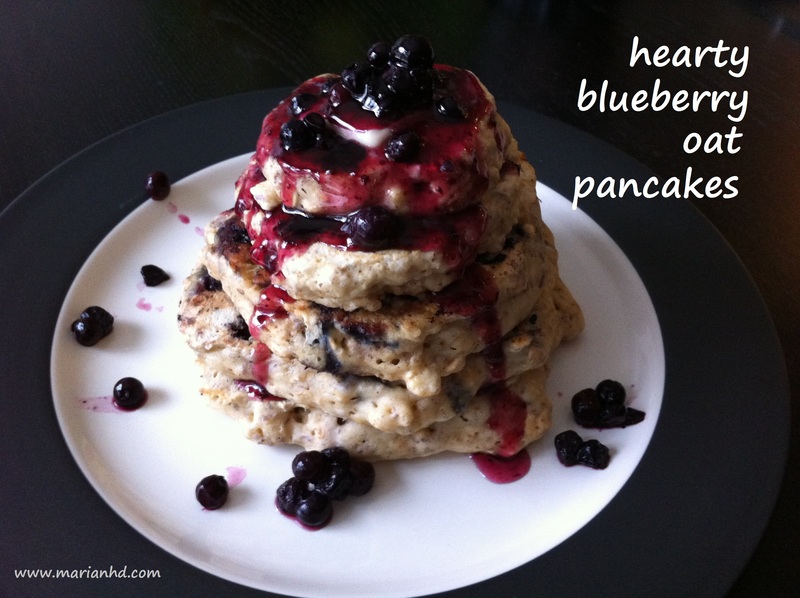 The combination of cardamom and blueberry sounds delicious! Thanks for sharing! I’m your newest follower. Hoping you’ll follow me back at http://www.crazythriftycrafts.blogspot.com. Thx! Thanks for following! I’m following you on Pinterest now. Looking forward to food and fun crafts!